When you hear them sing memories just run back to those good old days when one would dance without having to worry and this was the case during Total Uganda Dealers Convention which is held every year to further sensitize its dealers on how to handle their customers better and also on how they improve on their businesses. And this year the party and networking convention happened at Imperial Resort Beach hotel last week on Wednesday. 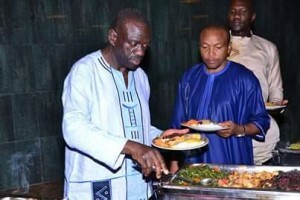 The full day convention had 120 dealers in attendance including former Presidential contestant Kizza Besigye. 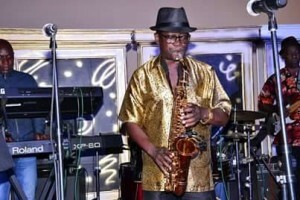 At the climax, the dealers were treated to a sumptuous cocktail and dinner that was spiced up by a performance from Uganda’s oldest band, Afrigo. Besigye and other revelers were seen dancing to every song. 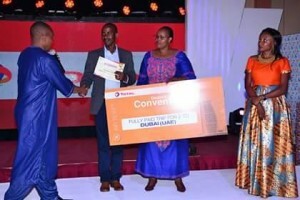 It was on this night that winners had to take home prizes such as Fridges, cookers and laptop and Augustine Shaka of Total Natete emerged as the overall winner, walking away with a laptop and a fully paid trip to Dubai. Shaka won the outstanding dealer, Shop, food and services outstanding performance as well being recognized for White Product sales.